Don't you love when the stars line up and a week of lessons goes better than you imagined? Honestly, that's how this past week went! 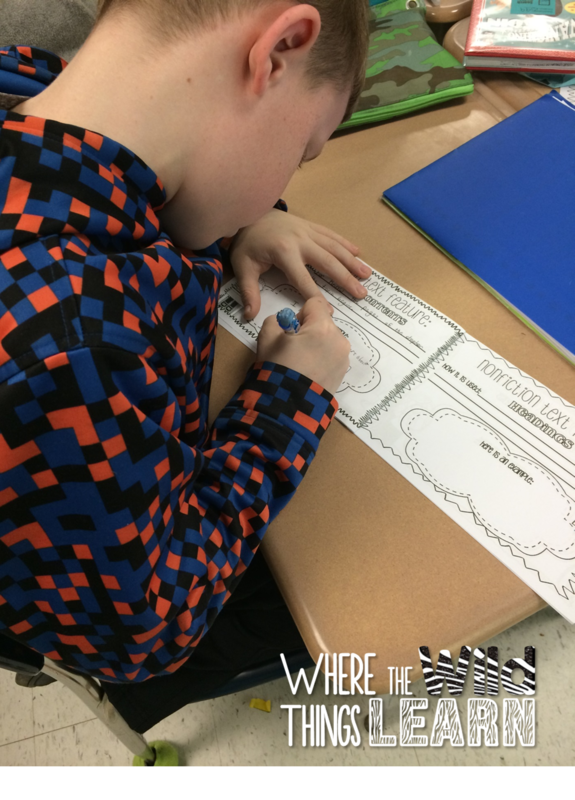 After getting our results back from our state test last year, I realized that my students needed more reinforcement on nonfiction text features. 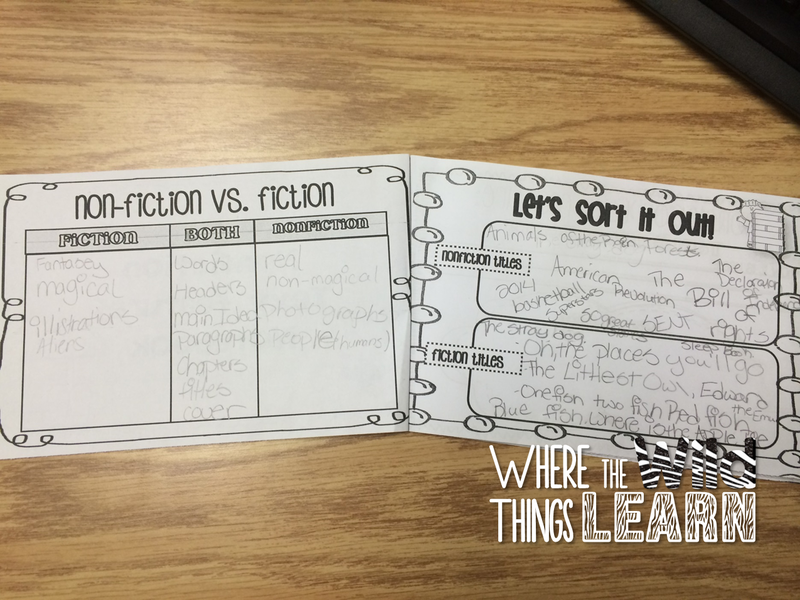 This year, I decided to spend a week focusing on fiction vs. nonfiction, and really diving into how those nonfiction text features helped us be better readers. Then, something wonderful happened! I found out that our kindergarten buddies were focusing on nonfiction for the week, too! A light bulb went off in my head… what better way for my 4th graders to truly understand, then to learn, and then teach it to their buddies! I talked with the Kindergarten teachers and they were so excited for it, too! 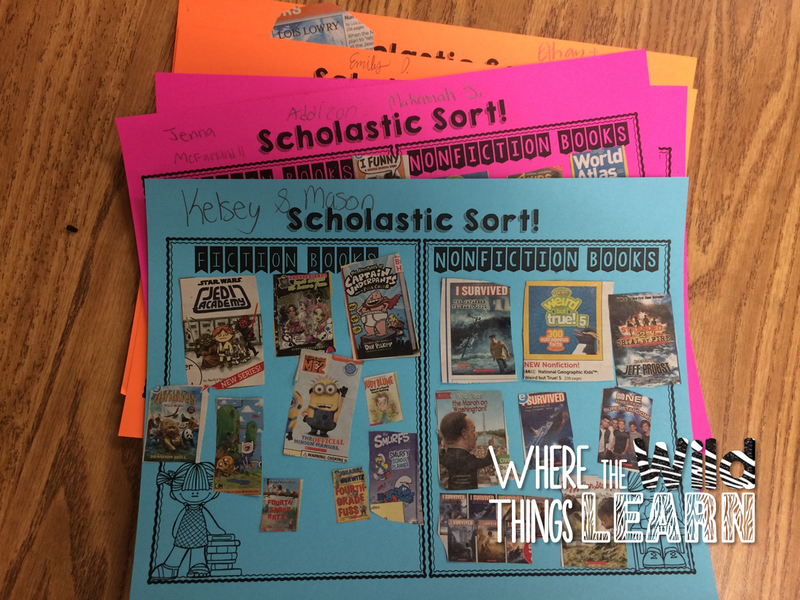 So we kicked it off on Monday with a little nonfiction vs. fiction comparison chart, and book title sort! We used the first two pages from my Teaching Nonfiction Text Features booklet to do this. I loved watching the Kindergarteners and 4th graders working together and learning from each other. Both had such great ideas! We put bins around the room of nonfiction and fiction titles all mixed up, and they had to look through them and sort the titles into the correct box. 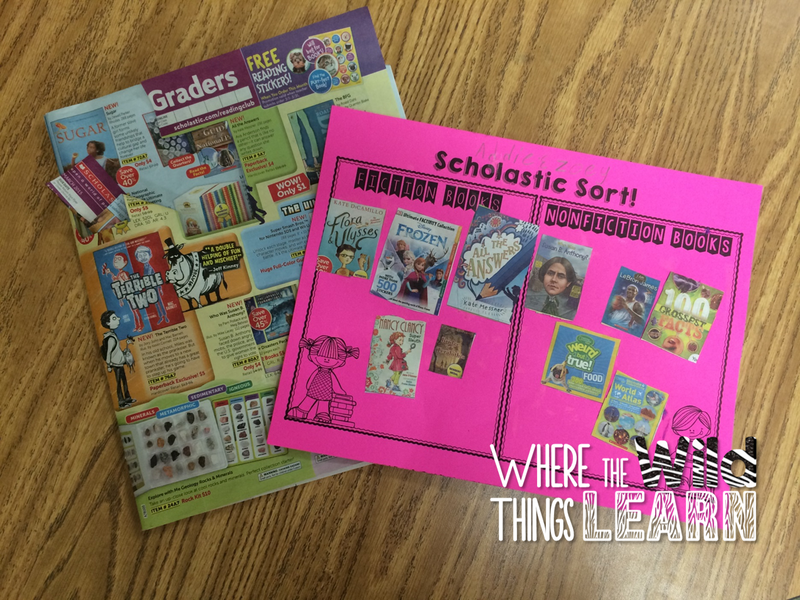 Having these books around also helped them with the comparison chart! 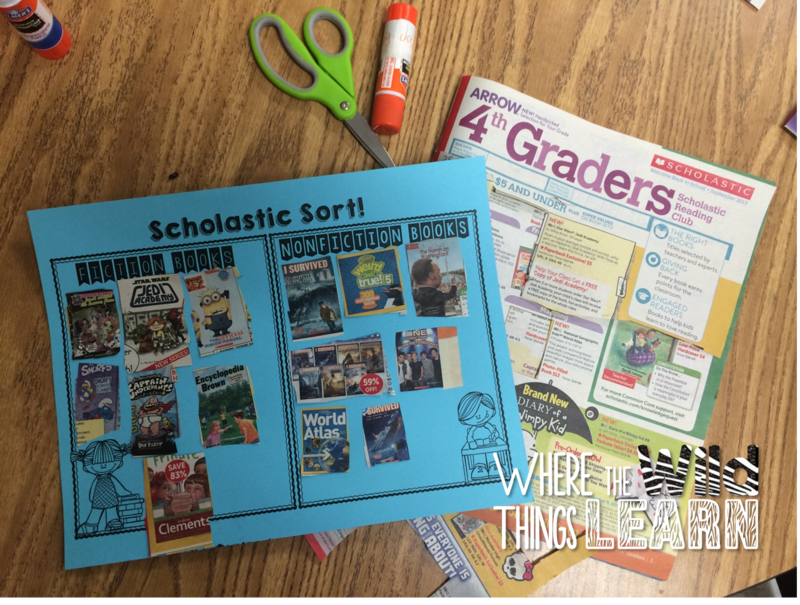 When they were finished with this activity, they had to show a teacher to get their next activity-- a Scholastic book order cut and paste sort! They had SO much fun with this. How gorgeous do these look all hung up?! :) You can get this sort page for free by clicking here or on the photos above! Throughout the week we then continued working in our text features booklet. We would discuss 2-3 text features a day, write down how we use them, and draw an example of it in a book. I then had students spend some time reading a nonfiction book of their choice, and do a quick written response about what they learned in their writing journals! 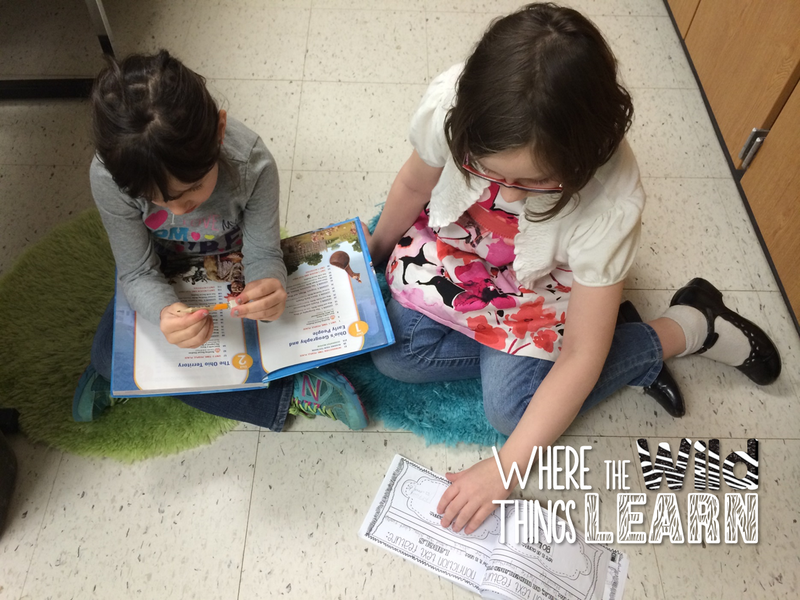 On Friday, we got back together with our buddies to review what we had learned! 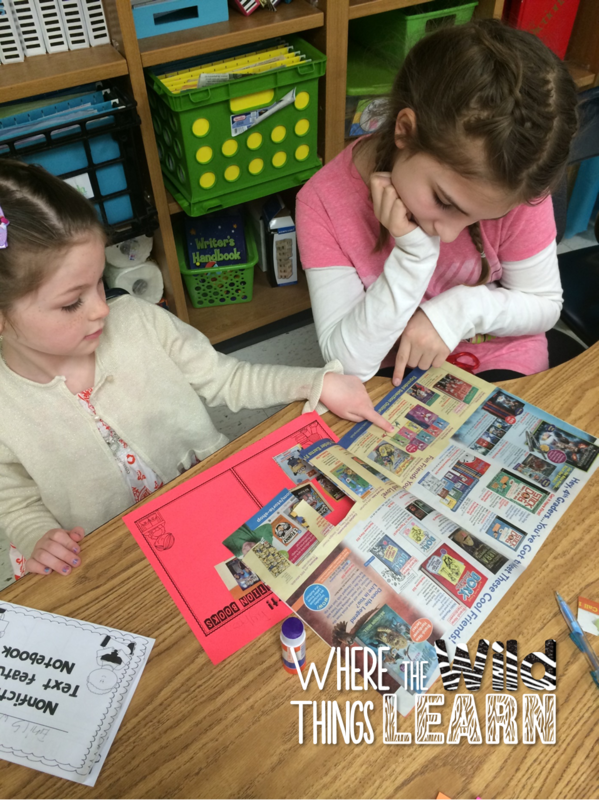 The last page of my text features booklet is a text features treasure hunt! 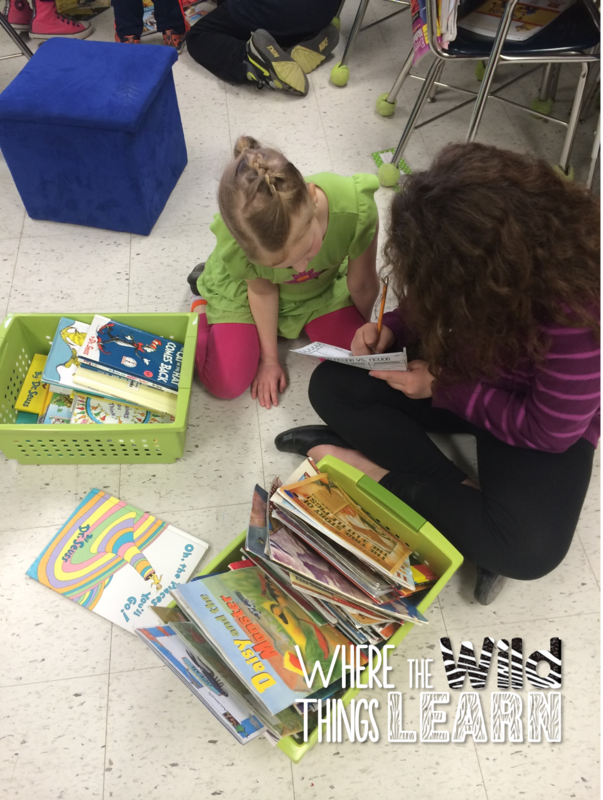 Kindergarten and 4th graders worked together to hunt through nonfiction books and find an example of each type of text feature! If they finished, they got a little "gold" (chocolate gold coin) as their treasure! They were SO excited when they found each one. You can pick up a copy of my Teaching Nonfiction Text Features unit here! 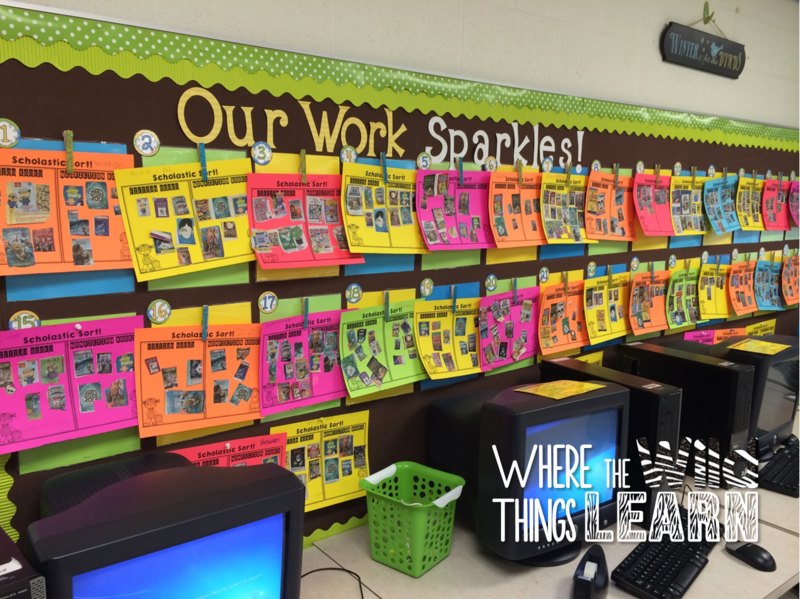 It also includes colorful pieces for an anchor chart that stays up in my room all year long! 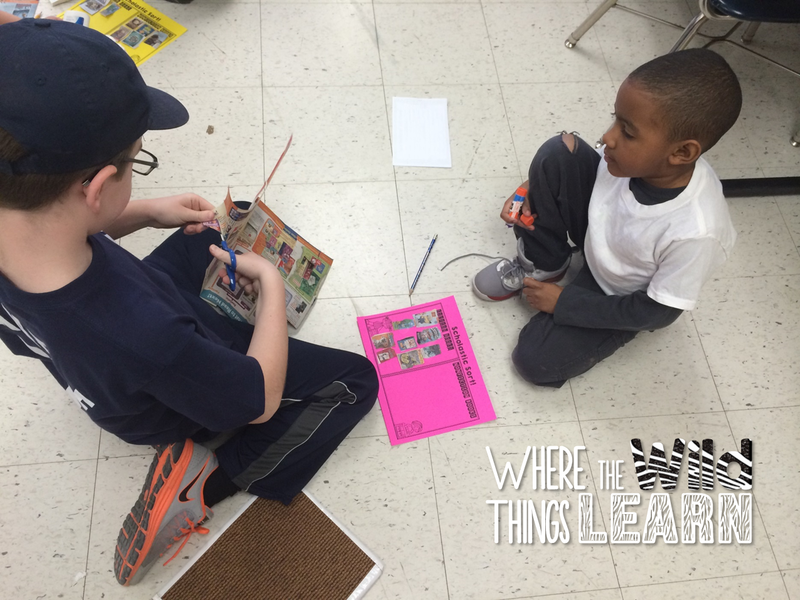 How do you teach nonfiction text features? I'd love to hear your ideas! I bet the big kids did love pairing up with the little ones. This looks like a lot of fun! Thanks for sharing. Hi! I found your blog through your TPT store and a few of your awesome products. Thank you for sharing your great ideas. I blogged about your comma rules and linked back to you! !